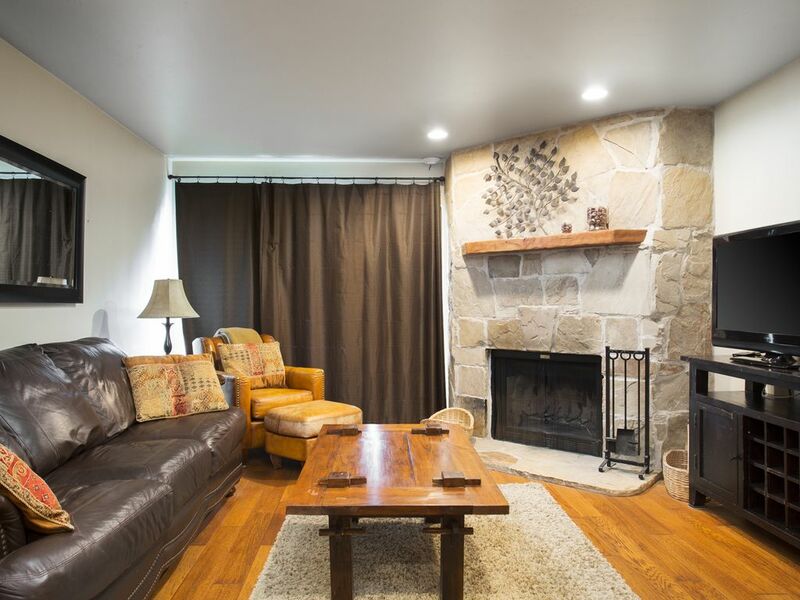 Cozy condominium right across the street from Park City Mountain Resort. Newly updated in January 2013 with custom kitchen cabinets, granite counters, hardwood floor in kitchen, dishwasher, washer, dryer, queen-size leather sofa-sleeper, 40' flat-screen TV in living room and 32' flat-screen TV in bedroom, WiFi, wood-burning fireplace. Read the reviews. This is one of the best values in Park City. Free bus will get you almost anywhere you need to go. Grocery store (Fresh Market) is one block away. Location! Location! Location!!! You will love it!!! Find it on MapQuest... 1530 Empire Avenue, Park City, Utah 84060. Thomas was a great host, the condo was clean and well appointed. I would definitely stay there again when in Park city. The condo was clean and well equipped (linens, kitchen utensils / appliances, fire wood, laundry supplies, etc.). It was also a short walk to the lifts. Having a washer / dryer in the unit was really nice! We also enjoyed the hot tub after skiing. I would recommend this condo, and I would stay again. Tom is a great host!! Tom’s place is very conveniently located. You can take a short walk to the chair lift or you can take the bus located directly across the street. His place is nicely laid out and he has thought of everything to make it enjoyable including a wood burning fire, washer and dryer, heat lamp and even put out a couple snacks for us. He was particularly accommodating when we had to delay our departure. An absolute class act. I would highly recommend!! Great condo with amazing location! Really great place right next to Park City Mountain Resort! We slept 3 adults comfortably. The owner, Tom, is very responsive and easy to work with. I would highly recommend this property! Amazingly convenient to the mountain and immaculately maintained. Would definitely come back!